A sneak peek of what to expect in the Psychology and Neuroscience programs? Learn everything there is to know about our 20-Credit BSc degree with a Major or an Honours in either Neuroscience or Psychology. Looking through the eyes of another: What do we know about eye movements and can we use other people's perceptual input to alter performance? April 9-10, 2019 in the Psychology and Neuroscience department. Registration information will be posted soon. There have been important program updates. See an Undergraduate Advisor or click on the links to the right. From research assistant to study participant, positions available to our students provide hands-on psychological training. 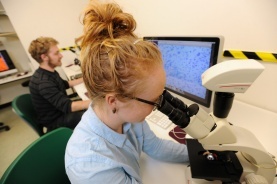 Psychology and Neuroscience is exceptionally well represented at Dalhousie University. 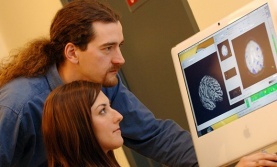 Dal maintains the largest Psychology and Neuroscience Department in the Maritimes. Our Faculty are pioneers in Undergraduate Neuroscience. They study the nervous system at molecular, cellular, clinical, cognitive, developmental, and behavioural levels.